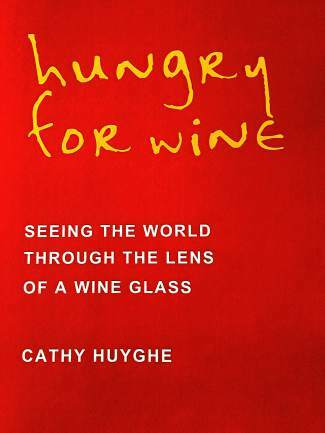 âHungry for Wine: Seeing the World Through the Lens of a Wine Glass,â by Cathy Huyghe. Keith Edwards, a certified wine educator, winemaker, economist, archaeologist and wine buyer for a sizable personal premier wine collection, and Suzanne Hoffman, a local freelance writer specializing in food, wine and travel, share their views on two picks for under the tree. In the concluding chapter of her book “Hungry for Wine: Seeing the World Through the Lens of a Wine Glass,” author Cathy Huyghe struggles with the question of whether she lost the simple pleasure of wine. She wonders if the persistent act of drinking wine “in context” has caused a disassociation from the pure pleasure of drinking and enjoying wine just because it was there. But that was an aberration that was out of character for the book. For the book is not about her. Rather, it is a series of stories about the people whom one never encounters in tales about the world of wine production. Each story is insightful, thoughtful and thought provoking. Huyghe has a knack for putting the right words together in the right order and at the right time to convey a fulsome story to her audience. In architecture and methodology, Huyghe’s book is somewhat reminiscent of acclaimed wine writer George Taber’s “In Search of Bacchus,” with tasting notes at the end of each chapter, in Huyghe’s case, subbing for the end-of-chapter unique experience in Taber’s book. Taber also focused on identifying wine regions from a tourism perspective, while Huyghe speaks more about the experiences of the people operating in the wine business in those regions. Huyghe is a wine columnist at forbes.com and Food52 and has written for a number of periodicals and television enterprises, including Decanter, the BBC and WGBH. That pedigree is on full display in the way that her 12 stories are crafted and relayed. It’s a quick read that is simultaneously informative and heartwarming. Most everyone knows someone who is filled with enological pretention but devoid of knowledge. They are like the guy in the bank commercial who, exuding an odious air of self-confidence, proclaims to his dining companion, “pinot noir, which means, ‘peanut of the night.’” No, it doesn’t. The hyper-visual, engaging wine guide is the brainchild of Court of Master Sommeliers certified sommelier Madeline Puckette and graphics and marketing expert Justin Hammack. The book is the natural extension of their wildly popular, graphically exciting wine blog, winefolly.com, winner of Wine Blogger of the Year from the International Wine & Spirits Competition. Puckette and Hammack have taken their “frictionless learning” concepts from cyberspace onto the pages of their book to provide everything novice oenophiles need to deepen their appreciation of wine. The Washington Post refers to “Wine Folly” as “the best introductory book on wine to come along in years,” but those with a greater knowledge of wine will enjoy the book all the same. The opening pages are filled with palatable information about the fundamentals of wine, the pleasurable experience of tasting it and food-pairing tips. A regional section includes detailed wine maps. The heart of the book contains graphically presented, indispensible information, such as growing locations, taste profiles, recommended glass shapes and cost ranges of 55 of the world’s most popular grape varietals, grouped according to styles. Thanks to its visually appealing, vivid graphics that compress a great deal of information onto 240 pages, “Wine Folly” transcends other wine guides.